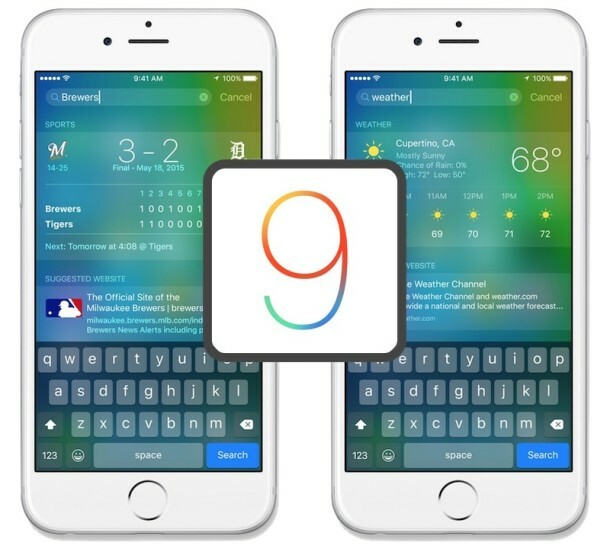 Apple has released new beta versions of iOS 9, arriving as iOS 9 beta 5 for registered developers, and iOS 9 Public Beta 3 for users in the public beta program. Additionally, WatchOS 2 beta 5 is available for Apple Watch developers. The revised iOS 9 beta build is versioned as 12A4325c for both the developer and public beta versions, and is available now for supported iPhone, iPad, and iPod touch hardware. 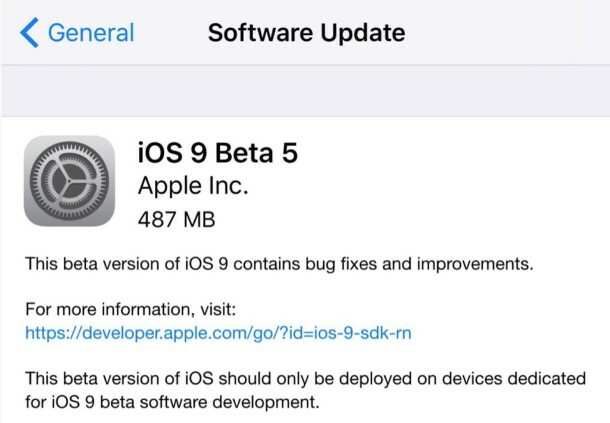 Users running existing an iOS 9 beta can find the new update available through Settings > General > Software Update, the OTA download is a little under 500MB for most devices. Registered developers also have the option of downloading the iOS 9 beta 5 IPSW files directly from the Apple Developer Center, which would need to be installed through iTunes. Separately, WatchOS 2 beta 5 is also available for Apple Watch developers interested in testing the upcoming WatchOS version on their hardware. WatchOS 2 requires a synced iOS 9 iPhone to install on the Apple Watch. Do note that downgrading WatchOS 2 back to the stable WatchOS builds is impossible without shipping the device back to Apple, making the WatchOS beta program a bit more cumbersome to non-developers and not practical for casual testing purposes. This contrasts with running iOS 9 beta, which can downgrade back to a stable iOS 8 build at any time with the assistance of iTunes. Developers will also find a new version of Xcode 7 beta 5 available to download in the App Store and from the Developer Center on Apple.com. iOS 9 is scheduled to be released in the fall for compatible iPhone, iPad, and iPod touch devices, along with WatchOS 2 for all existing Apple Watch models. Public Beta 2 put me in a world of pain when it comes to battery life. The phone runs extremely hot and I can watch the % tick down. Same issue with Beta 3. Has anyone else seen this issue? I know it’s a beta blah blah blah but steps to resolve would be helpful! I backed up and restored (into public beta 3) but still the same issue.